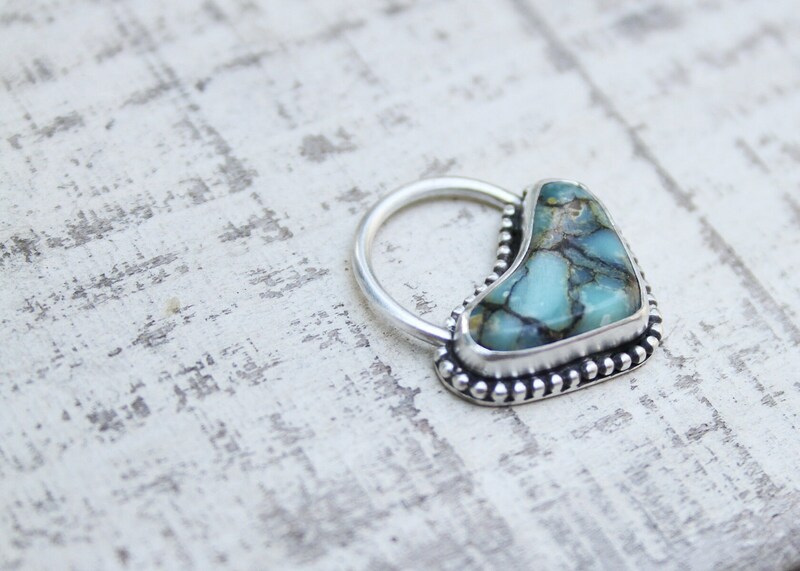 ☼ This Septum Ring is handmade with sterling silver and high grade seven dwarves turquoise. The bar is made with fine silver making it flexible and soft. The bar opens and closes easily and can be bent for the perfect fit. ☼ This septum ring is 16 gauge with an 8 mm inner diameter. 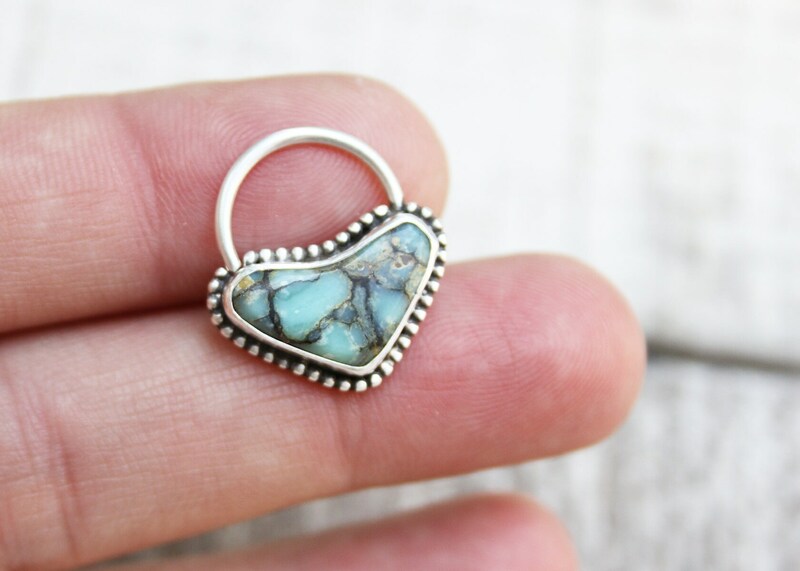 ☼ All jewelry in my shop is handmade. I also cut and polish my own stones, bone, or horn that I use. Many of my stones were left to me by my Great Grandpa Fuller which he cut into slabs over 50 years ago. 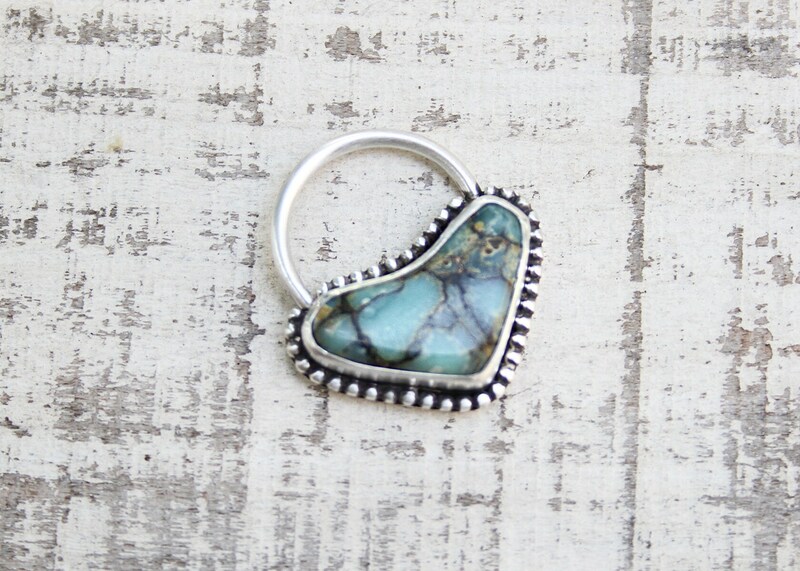 These pieces are truly handmade and one of a kind. They cannot be remade or replicated. ☼ Follow @primandpoppyshop on Instagram for information on the creative process and updates on new items!